Most people could never imagine themselves biting into a sandwich dug out of a dumpster, but the boundaries blur when you're talking about a sealed wedge of very expensive cheese. Things get even hazier when you factor in the most wholesome of establishments... Whole Foods. It's old news now, but for the uninitiated, there's a large "freegan" subculture of people whose meals are sourced primarily from restaurant and grocery dumpsters. And back in 2009, a group of my friends ascribed to this life when they discovered a lucrative loophole in Whole Foods' distribution network that let them forage thousands of dollars' worth of seemingly safe food. I never visited the dumpster myself (though I once dined on some of its fingerling potatoes), but I did interview two of my friends about the experience. Their identities have been kept anonymous because they obviously don't want this on their permanent Internet records. Here are their stories, presented without judgment. Joe Doempster Diver: "For about a year, me and my three roommates didn't really buy food. 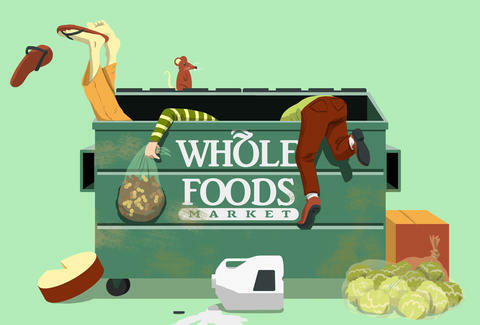 We would go to a few other dumpsters too, but Whole Foods always had the craziest stuff. I wouldn't say I was the ringleader, it wasn't exactly a top-down operation, but I was one of the people that went the most." Jane Doempster Diver: "I only went five or six times, but my friends were going twice a week. We went in the dead of night on bikes, wearing headlamps. It was the type of dumpster that you would enter through the side, not the top. At first I wouldn't get in because I was afraid of rats, but like anything, you acclimate. "The most expensive thing we ever found were these full wheels of Italian cheese. They cost like $400 each." Joe: "By the end, one of my partners was wearing a full bodysuit and basically going spelunking. But I was more of a grab-from-the-top type of guy." Jane: "The Downtown Whole Foods location has a trash compactor, so the key was to go to their distribution center where all the food was dropped off. It wasn't like we were going through the trash, it was stuff that didn't make it into the stores. One hundred percent was packaged goods." Joe: "There were a bunch of truck drivers there and at first didn't give a f**k. They'd just watch us and wonder what all these hippie kids were doing." Jane: "Usually there were two people in the dumpster and two outside that they'd be handing things to." Joe: "We found the type of stuff I'd never buy. Most everything was a one-time find. 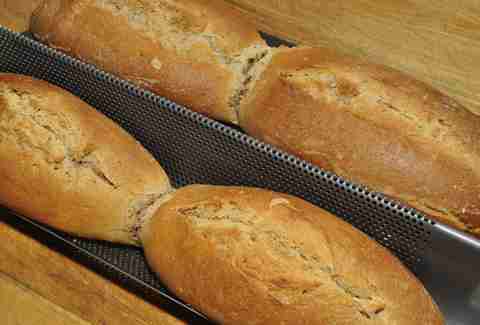 The first time we went there, they had these 20ft-long bags of full loaves of bread. The whole dumpster was full of it, we were jumping around on it. It was the most expensive bread they sell, the seven-grain kind. We filled up a whole camping backpack." Jane: "Once we found all this lettuce in plastic containers. It was the most wasteful packaging ever. We were building towers of them, we took about 15." Joe: "You could get gallons and gallons of milk and yogurt. 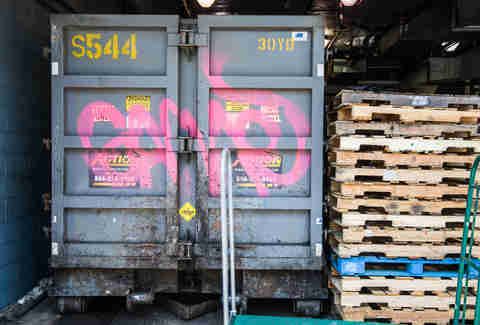 It'd be fresh off the truck, so it'd still be refrigerator cold, not expired or anything." Jane: "There'd be all these individually wrapped rice puddings, you'd be standing on top of them while you're grabbing for the lettuce." 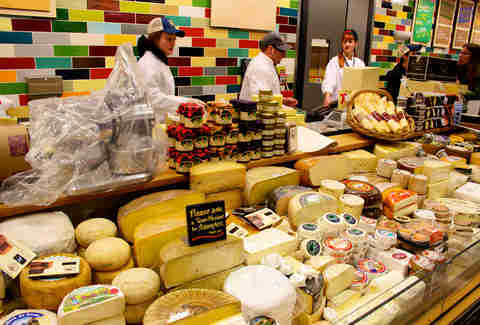 Joe: "The most expensive thing we ever found were these full wheels of Italian cheese. They cost like $400 each." Jane: "We think milk had spilled in the truck, because the packaging was all wet. But since the cheese was in wax it didn't affect it at all. We did the math, it was something like $10,000 worth of cheese in there. It seemed like more cheese than you could ever eat so we didn't take it all, but eventually we were making terrible Schindler's List jokes about it. 'I could have gotten more! I shouldn't have left those cheeses!'" Joe: "Other than the cheese, the craziest was during the big peanut scare." Jane: "The last time I went was during the salmonella peanut outbreak. They recalled peanuts all over the country. The next day, sure enough there were a ton of peanut products." Joe: "There were boxes and boxes of Clif Bars. Anything that had peanuts in it." Jane: "Pre-packaged frozen Thai chicken meals. Giant bags of honey-roasted peanuts. We justified it to ourselves because we said that if they were really dangerous, Whole Foods would be legally bound to destroy them. Or maybe that they'd only affect old people and babies. We had made a bunch of peanut butter from all the nuts, but none of our friends would take us up on it." Joe: "We also found all these pine nuts. That was the mother lode." 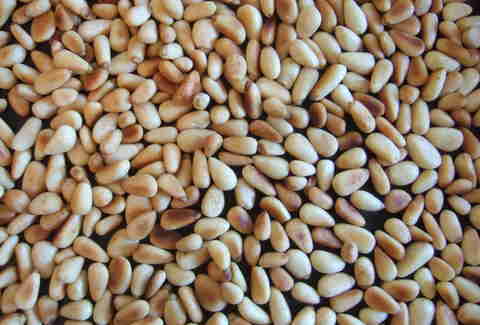 Jane: "The pine nuts were in 9lb, vacuum-sealed bags that were as big as kegs. We took home 10 of them, as many as we could carry on our bikes. They ended up dispersed throughout Austin, people totally unrelated to us would end up having some." Joe: "We started to learn to can food because when we found produce, we couldn't eat it fast enough." Jane: "I don't remember what we cooked, but we once made a 100% dumpster-doven Thanksgiving dinner." Joe: "At this point so many people were going to the dumpster that we'd run into friends there. It was like going to the actual grocery store." Jane: "Nobody ever got sick, not even slightly. We had this theory that most of the things had arrived at slightly the wrong temperature so they had to be thrown away. Like the truck was one degree too cold." Joe: "At some point the truck drivers start calling the police, so there'd be cops stationed there. If you saw them, you'd just keep biking past. I think they talked to us one time, but nobody ever got in trouble." Jane: "They put a lock on the dumpster, but people would just break it. Eventually they built a fence so that you couldn't get in, that's when it stopped for good. But some of us still have a little bit of those pine nuts in our freezers." Dan Gentile is a Food/Drink staff writer at Thrillist. He ate those pine nuts, and you would've too. Follow him to (mostly) legitimately purchased food at @Dannosphere.